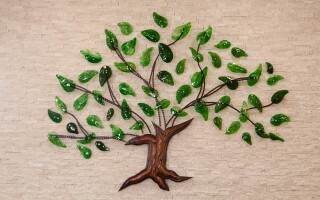 We design windows of all sizes in contemporary, traditional and abstract styles. 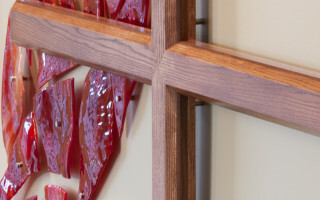 Our design team works closely with the client, contractor and architect to design art glass that will both accent the architecture and reflect the desires of the client. 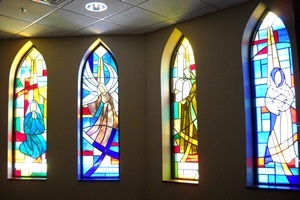 The venue of stained glass can be installed in churches, homes, and commercial buildings. 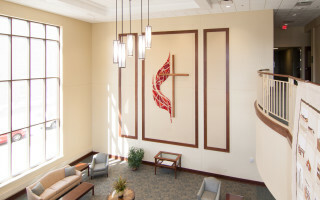 Its unique appeal brings the beauty of color and light to life. 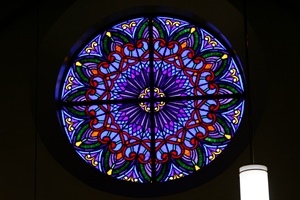 Stained glass has long been sought after as a means to bring beauty and atmosphere to many different venues. 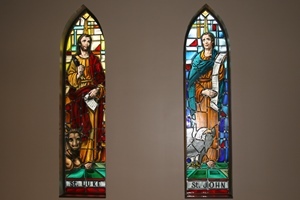 In Churches, stained glass windows were originally created to relay the stories and message of the Bible. 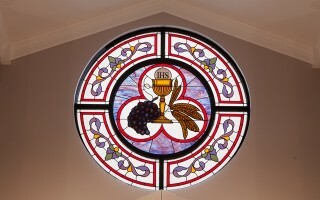 That tradition survives today in the windows created by Window Creations LLC. much time as is necessary in order to give our clients the best possible product and service. 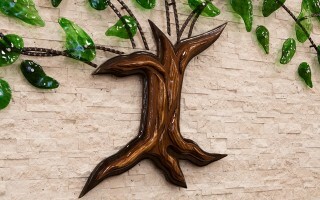 Window Creations has always been a company that strives for excellence in every project. Our crews go the extra mile in serving our customers with expert craftsmanship and a desire to put forth the best work in the industry. 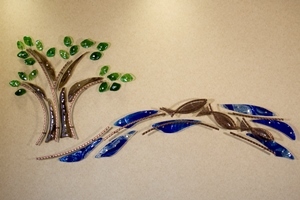 Dimensional Glass® wall art is a great way to add color and design to any interior. 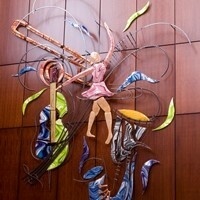 The architecture of today’s buildings often can be accented by a variety of different types of art. 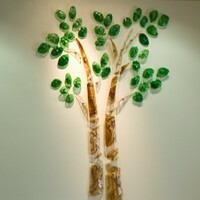 We believe glass is the ultimate medium to work with, because it conveys both color in transmitted and reflected light. Our DIMENSIONAL GLASS® will sparkle and glisten because of its unique shape. 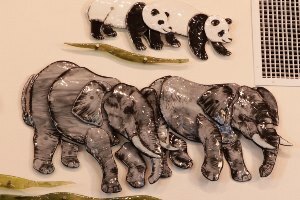 Each piece is individually formed while hot, to create a one of a kind piece of art. 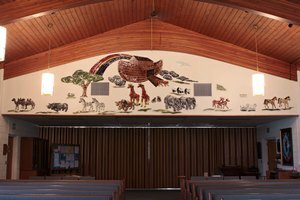 When completed our wall art will cast shadows of color onto the wall further augmenting the three dimensional appearance. 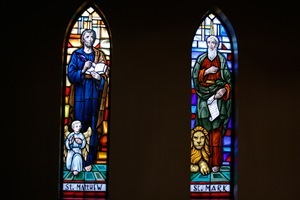 If the glass is exposed to exterior light the changes in the intensity and angle of the light will change the appearance of the glass throughout the day. 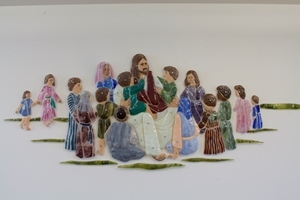 While we can create any scene or design that would traditionally be created with stained glass, it is our desire to far exceed your expectations. 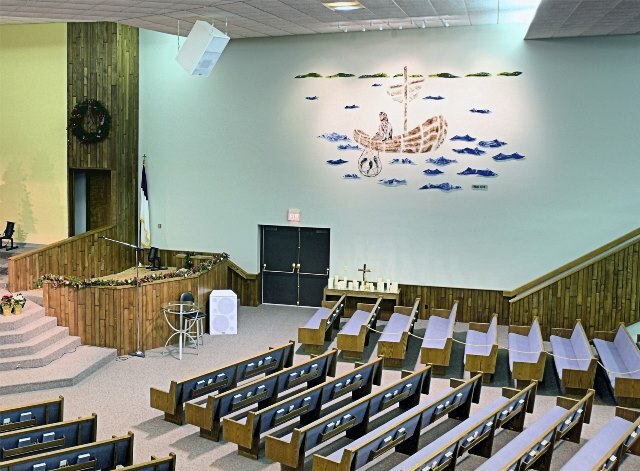 Many of today’s churches are built like auditoriums and no longer have exterior windows for the main sanctuary. 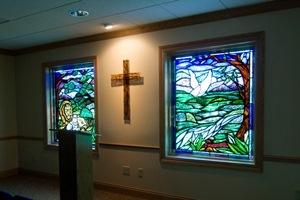 We want to give architects and interior designers the ability to meet the churches desires for stained glass without the necessity of windows. 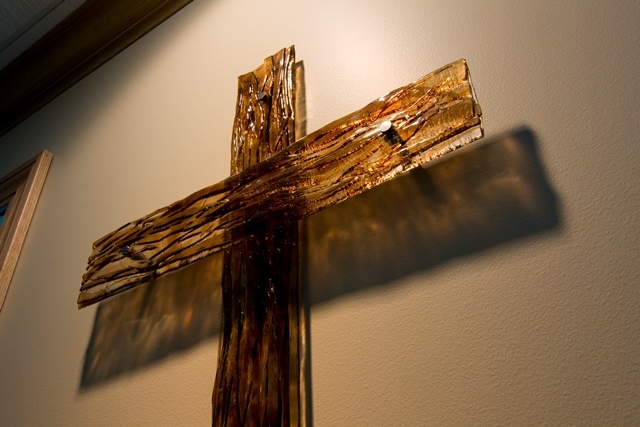 With DIMENSIONAL GLASS® we are freed from many restrictions that would otherwise be impossible for traditional stained glass. Size, shape and wind load requirements are no longer issues. 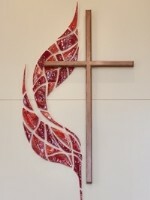 For corporate and public art projects we can augment both large and small areas by adding color and design. 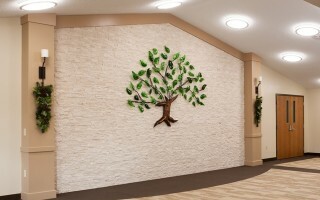 Artwork can be positioned behind lobby counters, in boardrooms or foyer areas just to name a few. 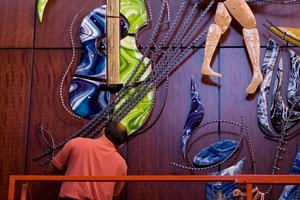 We have a great team of artists and fabricators. 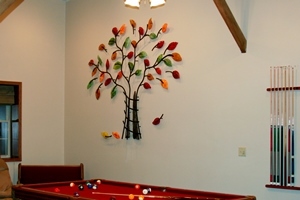 Give us a call with your desires and let us create a work of art for you.